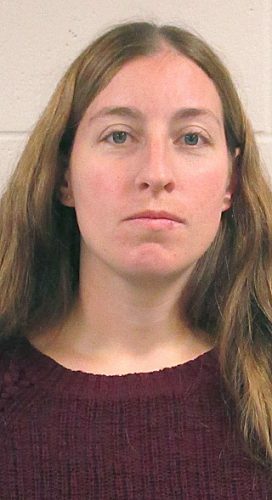 Alyssa Marie Hoffman-Hengel, 27, of Sleepy Eye was charged Tuesday with two felony counts of criminal vehicular operation relating to substantial bodily harm, two gross misdemeanor counts of criminal vehicular operation and two DWI charges. The charges stem from an accident that occurred about 11:30 p.m. Friday in Sleepy Eye. Information from the Brown County Sheriff’s Department indicates two ambulances and the Sleepy Eye Fire Department were called to the intersection of First Avenue South and Walnut Street Southwest at that time. Hoffman-Hengel was the driver of a car that rear-ended a parked pickup. Four people were trapped inside the car. Police saw beer cans and alcohol in the vehicle. Hoffman-Hengel appeared intoxicated. She and three passengers were taken to the Sleepy Eye Medical Center. The pickup owner indicated to police that the car pushed his vehicle approximately 20 feet. Hoffman-Hengel has a prior gross misdemeanor driving while impaired conviction from 2010.